This Limited Edition Zuca bag features your exclusive Limited Edition Number, and artist's signature, on the left panel of the bag. This particular bag's design was created by Manchester, UK artist, Lydia Meiying. Lydia's is an illustrator & surface pattern designer that draws inspiration from the wonders of the natural world. 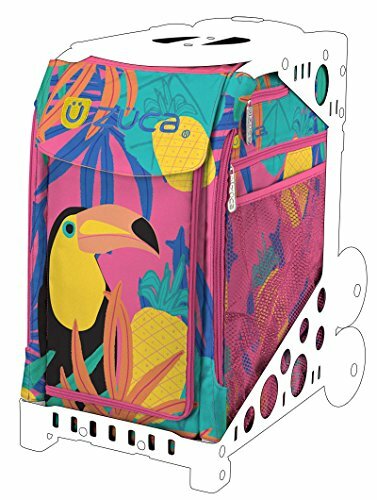 Her design features a Toco Toucan, along with an extremely colorful design that makes her dream of tropical summer holidays. Definitely grab this Zuca bag quickly, because once all 700 are gone, they're gone for good!